Summer! Normally, the term conjures up sun, sand and beach. Yet how could a visit to a sunny beergarden make any less sense? Travel blogger and writer Ralf Johnen ventures deep into Cologne’s veedels and even goes so far as the Grüngürtel to introduce you to his favourite outdoor hangouts. 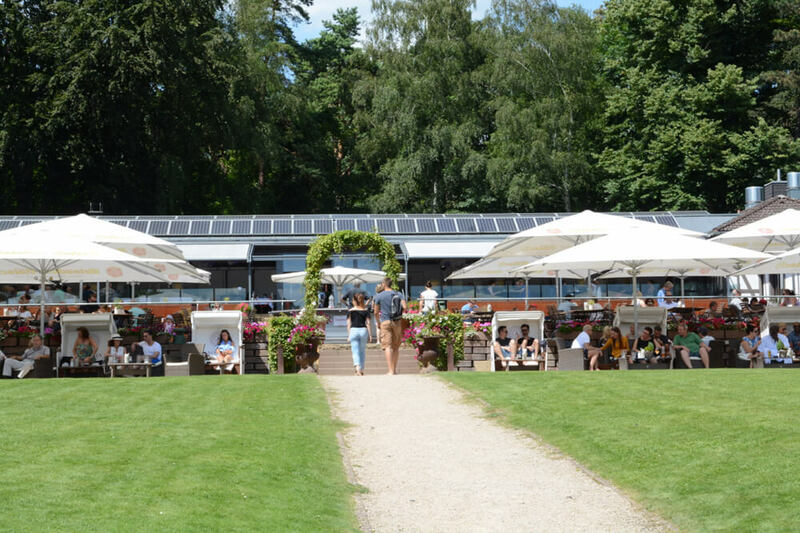 If you’re lucky enough to grab a beach lounger in the front row, leave the local office workers to discuss business or the latest grape harvest in the rows behind you –simply relax and let your gaze wander over the Adenauerweiher pond in front of you. The bar list comprises the city’s best Kölsch varieties, tasty pilsner beer and good wines, along with alcohol-free ginger-orange lemonade and passionfruit spritzers for the healthy-minded (or indeed any underage children). Seaside Garden is known for its attentive service and quiet location off the beaten urban track, so visitors go into holiday mode very quickly. In other words, once ensconced in that beach lounger you won’t want to leave any time soon, especially once you discover the yummy dishes served straight from the restaurant kitchen on site. 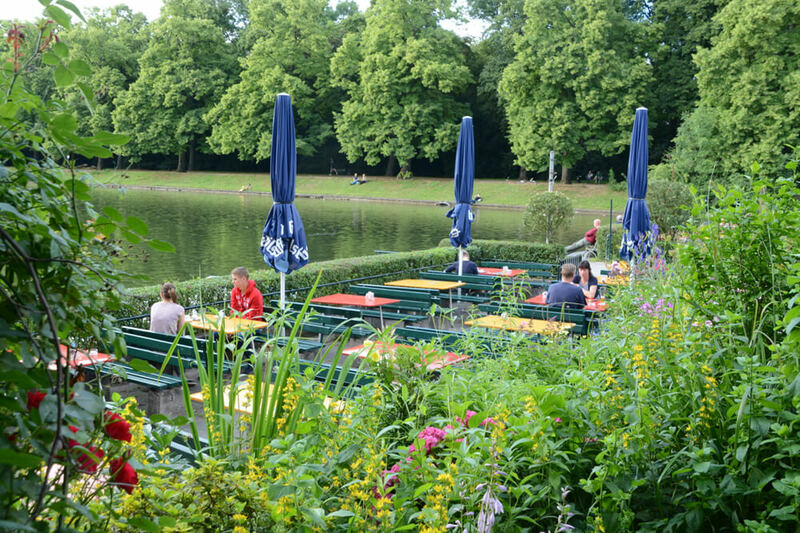 After a thorough refurbishment, the Flora botanic gardens have returned to the list of Cologne’s prime hangouts. 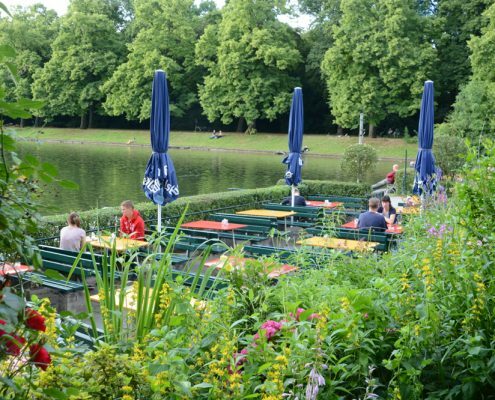 Not just because of the gorgeous horticultural space – there’s also the small matter of what is probably Cologne’s most original beer garden (whose name translates to “Thanks to Augusta”). An afternoon or evening here goes a little bit like this: you walk up to the counter and order some appetising snacks (served in glass jars), such as carrot-apricot salad or potato soup. Then you follow up with your favourite beer or a bottle of yummy organic rosé wine. Once you’ve paid up, you’re handed a lovingly packed picnic basket and take it over to one of the many tables on the patio. It doesn’t get much better than this. And why Augusta? Well, she was the wife of Prussian king Wilhelm I, who took over the patronage of the construction and maintenance of the botanic gardens in 1863. So now you know. 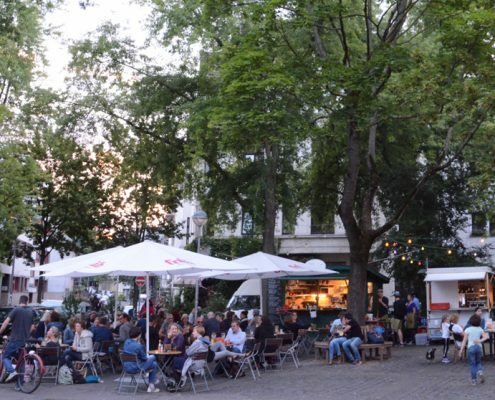 Strictly speaking, Schillplatz to the north of the city centre shouldn’t be on this list because it’s not a beer garden, but one of the prettiest squares in the city. 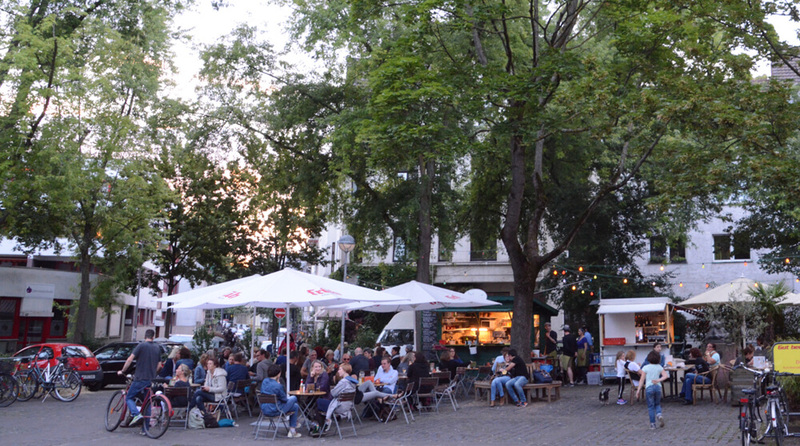 Surrounded by gorgeous turn-of-the-century townhouses and shaded by old trees, Schillplatz has become a popular place for beer garden-style gastronomic outfits. 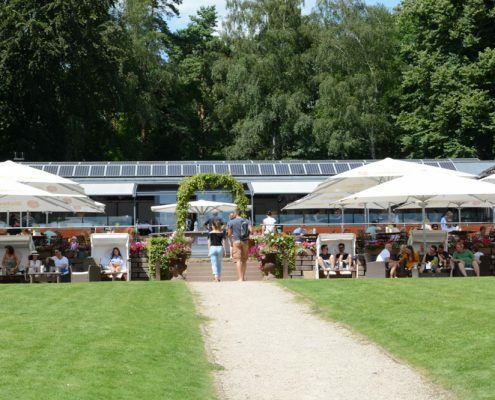 My favourite is Morio, actually a wine bar, offering the pleasant side-effect of being able to order a gewürztraminer or muscatel in addition to the regular local beers – and to enjoy it al fresco. Daily from noon. 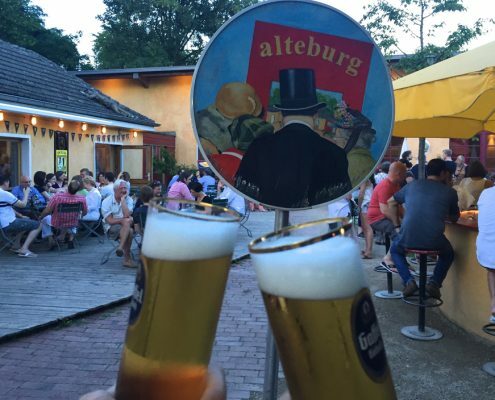 Beer garden open until 10:30 pm. Cologne is a surprisingly green city, once you look closely. 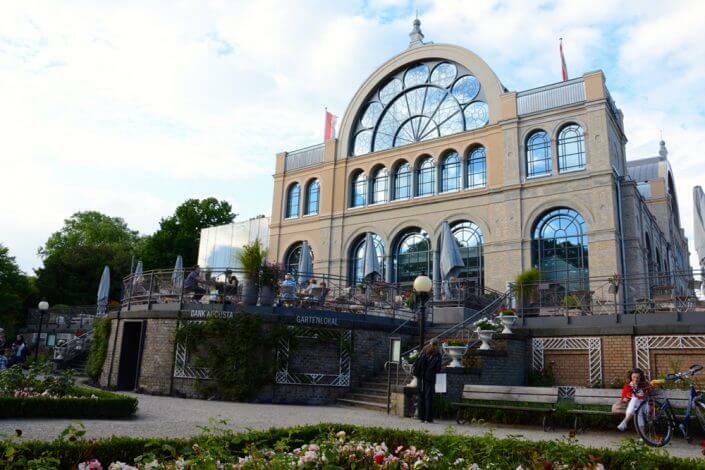 A real jewel in the city’s green crown is Blücherpark in Ehrenfeld, which is a little reminiscent of a palatial garden. 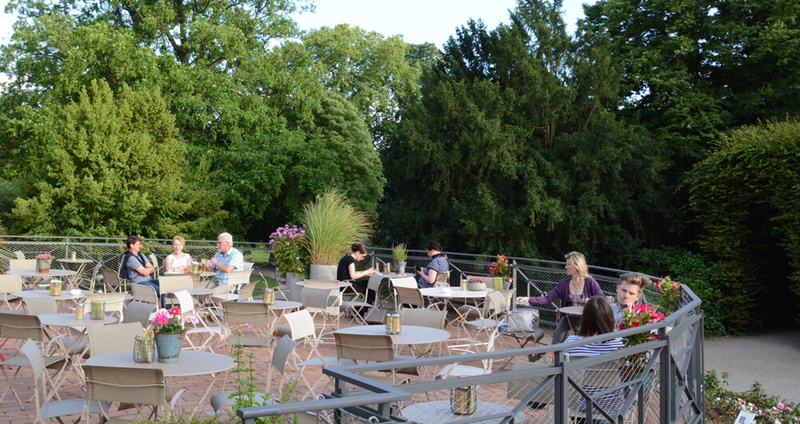 This is a prime place to while away a summer’s evening, starting off with a half-hour of gentle rowing on the pond before retreating to the pretty beer garden by the water’s edge. Views include baby swans in search of a place to cool off at dusk and the beautifully maintained beds of roses on the city side of the park. Tasty Kölsch, a solid wine list and a selection of snacks make this a great place to end the day. Die-hard Europeans might find Alteburg a little disconcerting these days – as you walk in, you can’t miss the prominent original London Underground sign on the wall. Although one is quickly distracted from Sloane Square and any nasty Brexit aftertaste this may have triggered by another kind of island at the centre of this colourfully illuminated space: the bar serving a continuous stream of on-tap Kölsch. 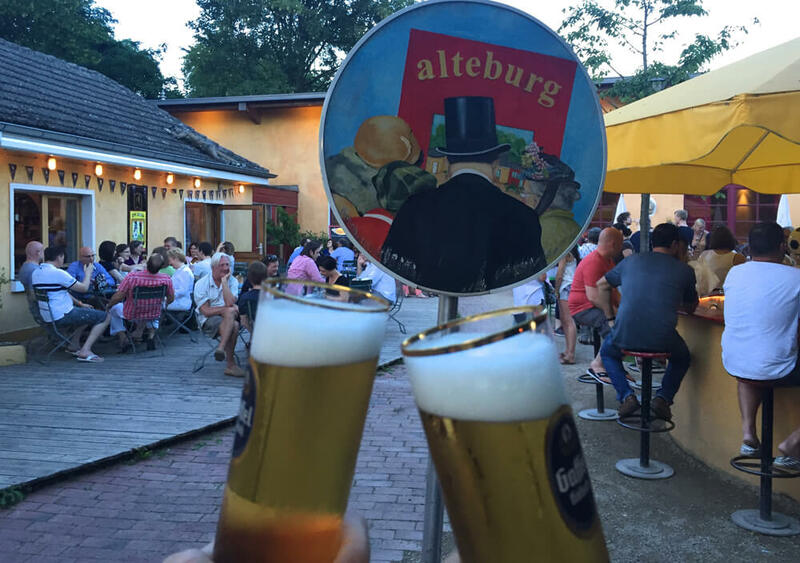 A generous space for around 170 guests, Alteburg is a prime spot to soak up some real Südstadt atmosphere. This is where Cologne’s cosmopolitans congregate of an evening to chat with neighbours and strike up new friendships.